This is Chris it’s the first time we have worked together and I’m very pleased to have met him. 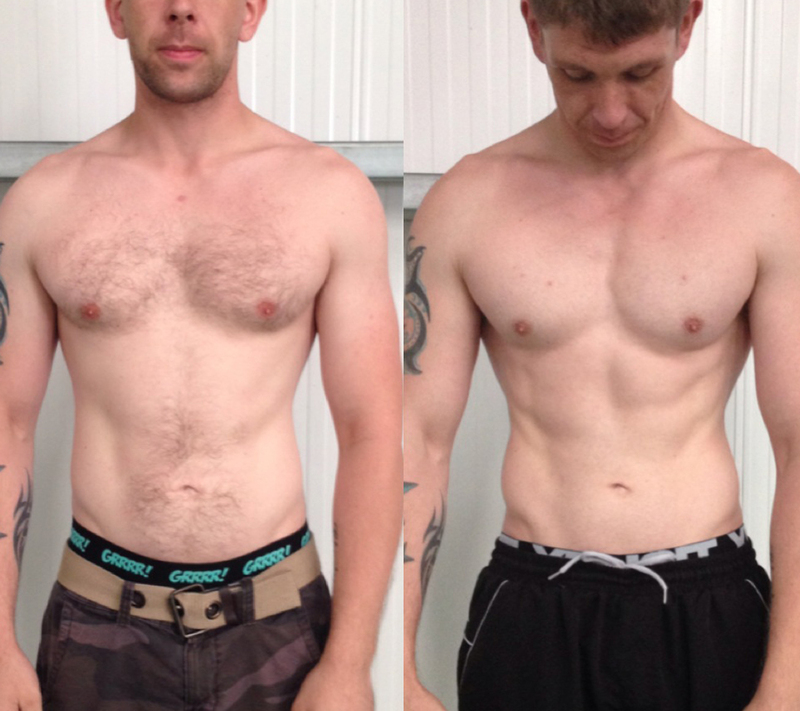 Hes been very quick to adapt to the training and continued to develop strength and size throughout the 8 weeks. 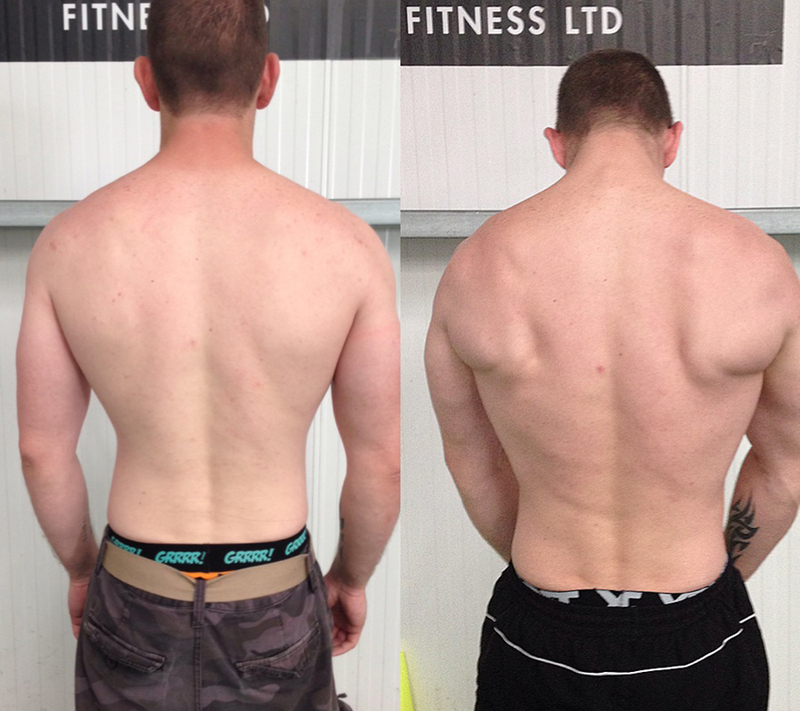 From week 1 we had a bit of trouble adapting to all of the lower body work and only being able to squat 40kg and dead lift 60kg for reps. Now he’s hitting 70kg on squats and 120kg on deads. 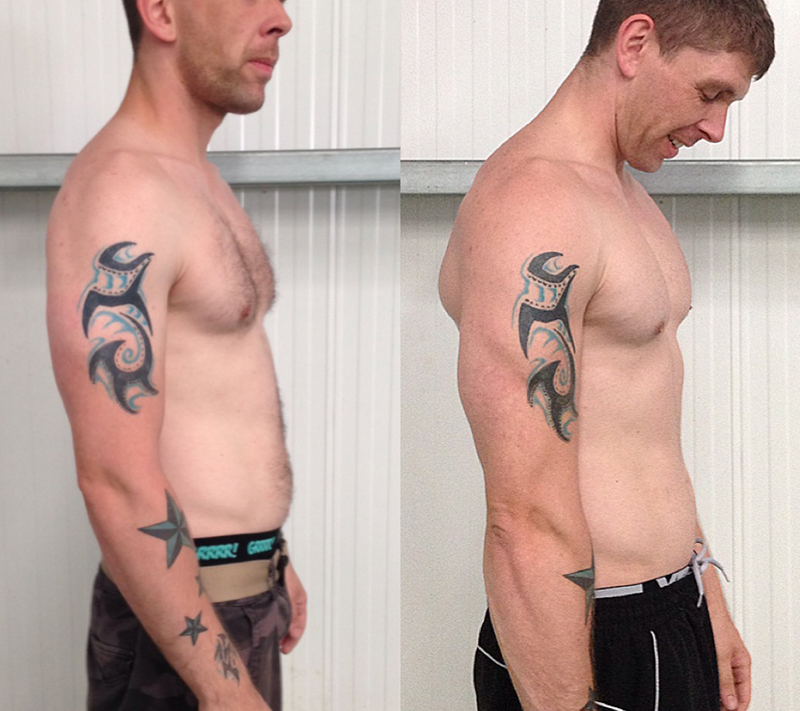 Chris also lost 4% body fat and put on 6lbs of lean tissue. He is now a member of RT Fitness and will continue to pack on the muscle.